Mann is in Cyprus – his mission is to track down an AWOL soldier called Corporal McCann (Ian McNaughton). Given that Cyprus is a political powder keg, the news that McCann has disappeared with three sterling machine guns and a plentiful supply of ammo only complicates matters …. One of the interesting things about Redcap is the way that it reflected real world events. As depicted here, Cyprus in the mid sixties was a highly unstable place – following independence in 1960, bitter in-fighting had led the UN to establish a peace-keeping force. As you might expect, this means that Mann has to tread very carefully – although he’s not averse to indulging in a spot of fisticuffs with a local soldier who has the termitary to steal his identification papers! 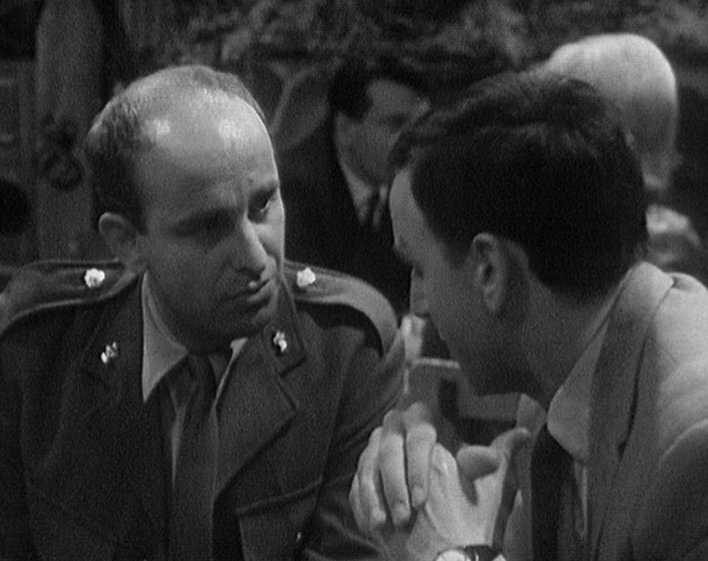 Mann, called in by Colonel Morris (John Ringham), is concerned for McCann’s safety – a soldier with a previously spotless record. This makes the suggestion that he could be involved in black-market gun-running all the harder to swallow. 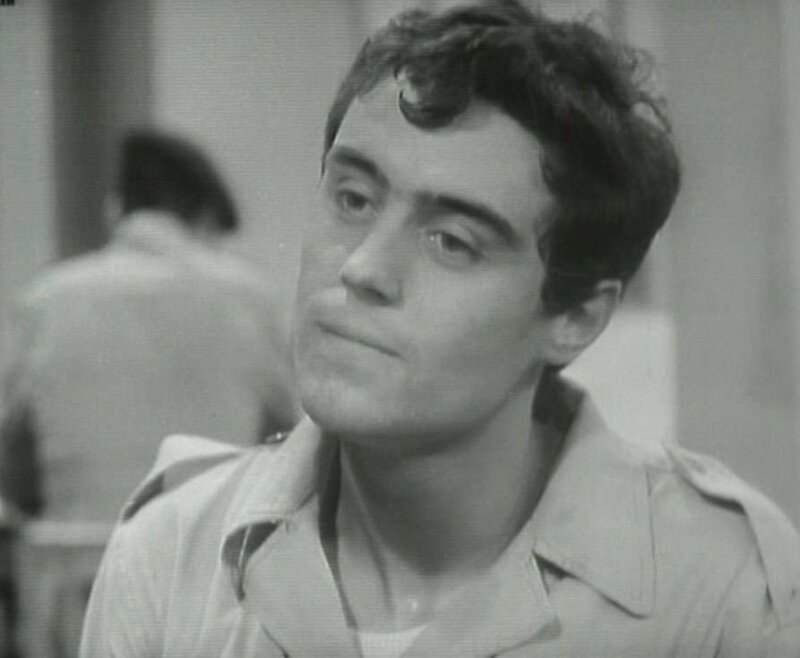 Off-screen for most of the episode (and when he does appear he doesn’t have a great deal of dialogue) McCann is something of a plot MacGuffin – meaning that it’s difficult to feel that invested in his fate. Ringham quickly sketches in the key points of Morris’s character – a friendly, relaxed type who genuinely seems to care for the men under his charge. He’s a fairly minor character though as two other very familiar faces – Jerome Willis and Warren Mitchell – take the lion’s share of the screen-time. Willis is Lovelock, a political liaison officer who views Mann with extreme disfavour to begin with. He’s not in the least concerned with McCann’s fate, he only cares about the political fall-out McCann’s disappearance could generate (especially how it might be twisted and spun by their opponents). Since Mann operates most of the time as a solitary figure, there’s something novel about the way that he and Lovelock eventually join forces. Both strong and single-minded characters, they eventually form a bond which drives the action in the second part of the episode. Willis, as you’d probably expect, is top notch. Warren Mitchell, as a world-weary local inspector, is equally as watchable. Rarely without a cigarette dangling from his lip, he flits in and out of the narrative – both helping and hindering. Although there’s a brief spot of location filming, once again the bulk of the episode is studio bound. The use of a car on the studio street (and plentiful sound effects) helps to sell the illusion of space though. Mid-way through the episode, John Thaw stumbles over his lines, although he plows on regardless and eventually gets back on track. This wasn’t unusual for this era of television (where retakes tended only to happen if there had been a catastrophic technical issue) but since Thaw was usually so secure, it does stand out. 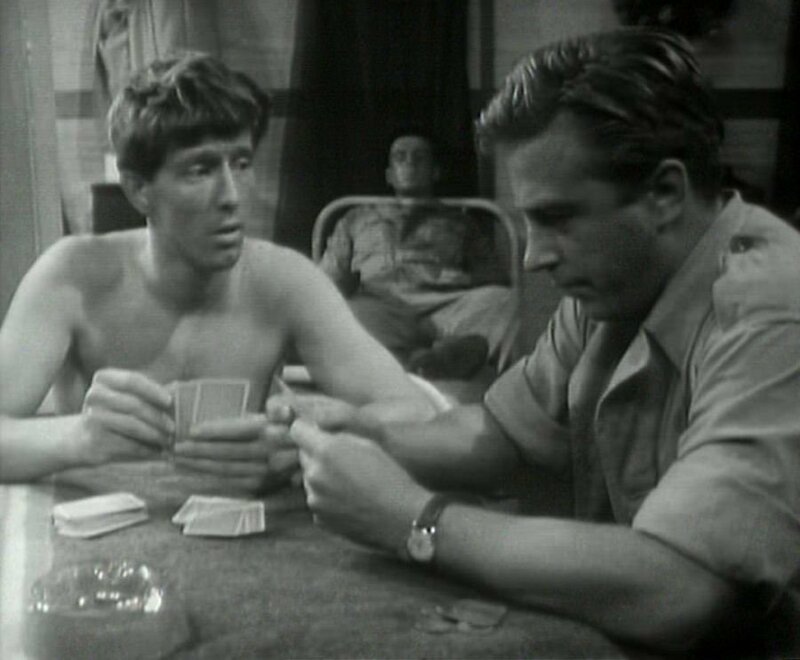 A notable aspect of Corporal McCann’s Private War is the fact that Mann spends very little time questioning McCann’s fellow soldiers – indeed, he only quizzes the quartermaster (Windsor Davies). This is a lovely scene from both Davies and Thaw. The quartermaster is able to shed a little light on McCann’s character (he’s a keen photographer, or as the quartermaster puts it, he’s “nutty about women’s chests”). One of these women – Ariane (Maria Andipa) – has her part to play in untangling the mystery. It’s pleasing to see that some key roles were filled by non-UK actors. Given the paucity of available players in the 1960’s this wasn’t always possible – but it always added a touch of authenticity to proceedings whenever it did happen. Corporal McCann’s Private War starts – intentionally – in a rather disconcerting, jerky way. 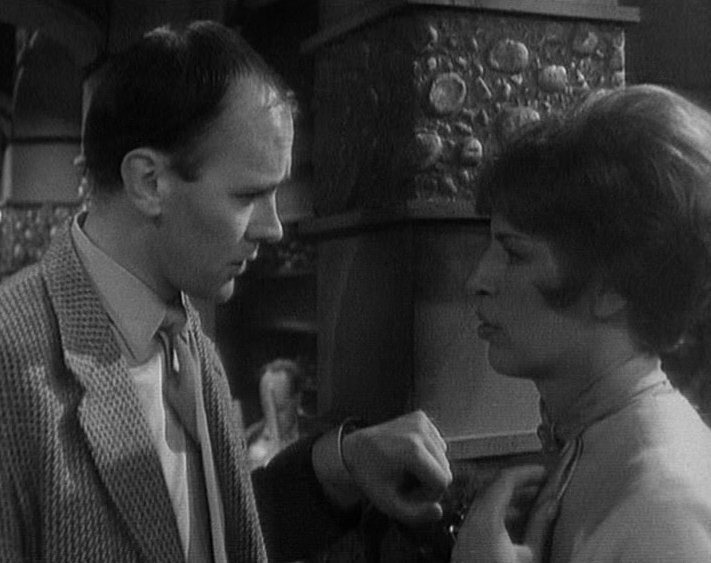 This feeling of being buffeted along by events, rather than controlling them, continues throughout and although Troy Kennedy Martin’s script gets a little bogged down, the performances of Thaw, Willis and Mitchell does help to keep the interest level up.